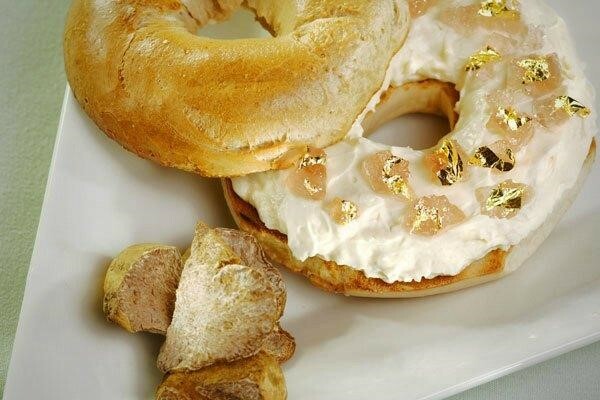 You better believe this $1,000 bagel, available at The Westin New York at Times Square, is not your run-of-the-mill, breakfast egg-and-cheese variety. We’re talking about cream cheese and jelly here, but not just any kind. The cream cheese is made with one of the world’s most expensive foods: prized white truffles from the Alba region in Italy. White truffles can’t be cultivated—trained dogs or pigs are used to find them growing wild in the woods—and they only appear in the fall. As for the jelly, it’s a goji berry-infused, riesling wine jelly. Finally, the filling is topped with a few delicate, edible gold leaves. The bagel only made a short appearance in the fall of 2007 at The Westin New York at Times Square, but every year, for a decade, requests have come in for it. Tax and gratuity are included. Moreover, proceeds do go to a good cause, the Holy Apostles Soup Kitchen. And rather than washing this bagel down with a cup of coffee, you can opt for a shot of 25-year-old Pappy Van Winkle bourbon (only 710 bottles were produced). It will set you back a neat $175 for a half-ounce pour, or $315 for a full ounce pour. The bagel, only available from Nov. 1 to Dec. 15, must be ordered 24 hours in advance, by calling 212-201-4677.